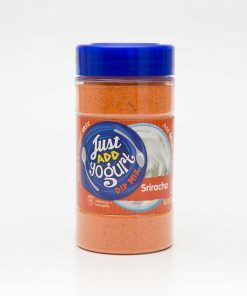 Just Add Yogurt | Instant Dip Mixes | Altius Spices & Seasonings Inc.
View cart “Sour Cream & Dill Dip Mix” has been added to your cart. Make delicious, healthy dips quickly and easily with our Just Add Yogurt instant dip mixes. Just Add Yogurt instant dip mixes are available in nine delicious flavors. As the name says, just add the mix to Greek yogurt to make instant homemade dip. Try it with sour cream or non-Greek yogurt too. Each bottle makes up to seven 250 g servings.